A home is a warm, inviting reflection of you. It's a place to raise your children, entertain your friends and create memories that will last a lifetime. I will guide you through the home buying or selling experience by understanding the elements that are most important to you, assist with determining a comfortable price point and find the perfect match for you. My background in luxury hotels gives me a unique perspective on how exceptional service feels, which translates to an unmatched real estate experience for you. 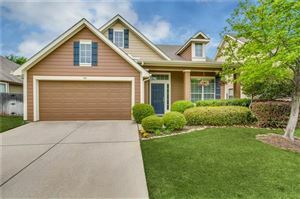 My local market expertise will also benefit you as I have lived and worked in the Dallas Fort Worth Metroplex since 1980. My husband and I met Sue Wykes at an open house. A few days later (early Dec), Sue met with us in our home to we discuss the possibility of putting our home on the market. Sue felt our home would sell quickly so we decided to wait until after the holidays to list. A week later, Sue contacted us about a colleague's client who was interested in homes that were similar to ours, and ask if we would be interested in showing ours. Long story short, Sue sold our home before we even listed it!We received the full asking amount and Sue also negotiated a lease back agreement so that we could spend the holidays in our home! Not only did Sue sell our former home, she also helped us find and negotiate a great deal on our new home! Sue was truly amazing through the entire process!We have been in our new home for just over 6 months and some times I still can't believe that we were able to sell, find, and buy a new home, relatively stress free, within a matter of days! Needless-to-say, I'm so glad we walked into that open house in early December and met Sue Wykes! Very on top of leads/prospects and aware of what was happening in the market. Sue always provided quick follow-ups and took care of selling our home like it was her own. Our home sold quickly and Sue made the experience as seamless as possible. Great experience with Sue Wykes! Sue is an excellent agent and one I would recommend to anyone in the DFW area. We had high expectations and relied on her to guide us through the process while executing flawlessly in a very short time frame. She never let us down once and made a very stressful time smooth. Updated Apr 18, 2019 11:28:pm. Based on information from the North Texas Real Estate Information Systems, Inc. This information is provided for consumers' personal, non-commercial use and may not be used for any purpose other than to identify prospective properties consumers may be interested in purchasing.